If you are a Game of Thrones fan, we are always reminded that "Winter is Coming!" There is a sense of doom whenever these words are spoken. Many of our clients/neighbors feel the same way. Hours are reduced, layoffs happen, and making ends meet is very difficult. Our year end campaign is a way to help get our working community through the lean months. 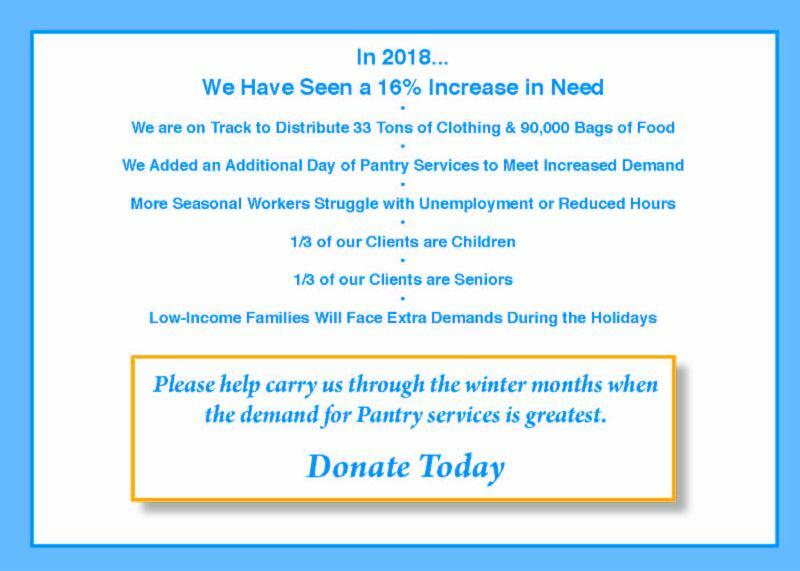 The Pantry is serving 16% more Cape residents this year and we are hopeful that you can help us continue to take care of those who "take care of us". Below you will see a couple of ways to easily support the Pantry this season. 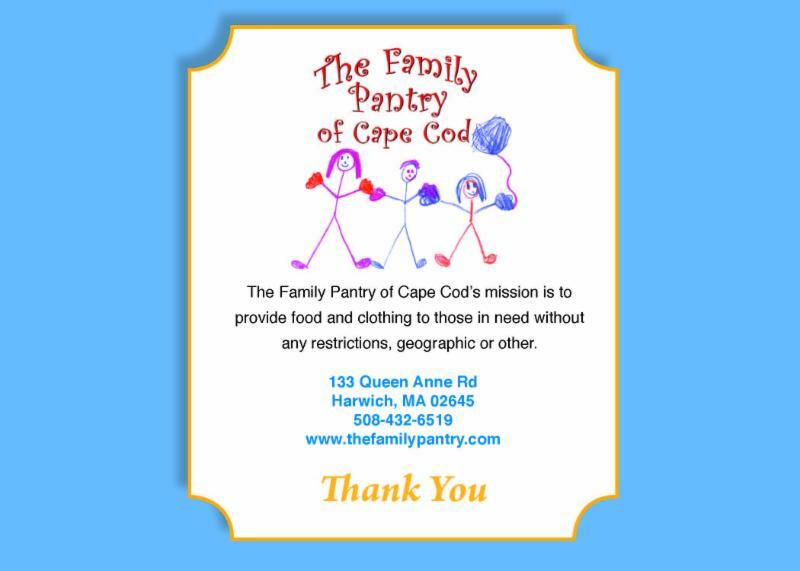 The team at the Family Pantry of Cape Cod is humbled to be able to feed and clothe over 9,300 people annually thanks to your generosity. 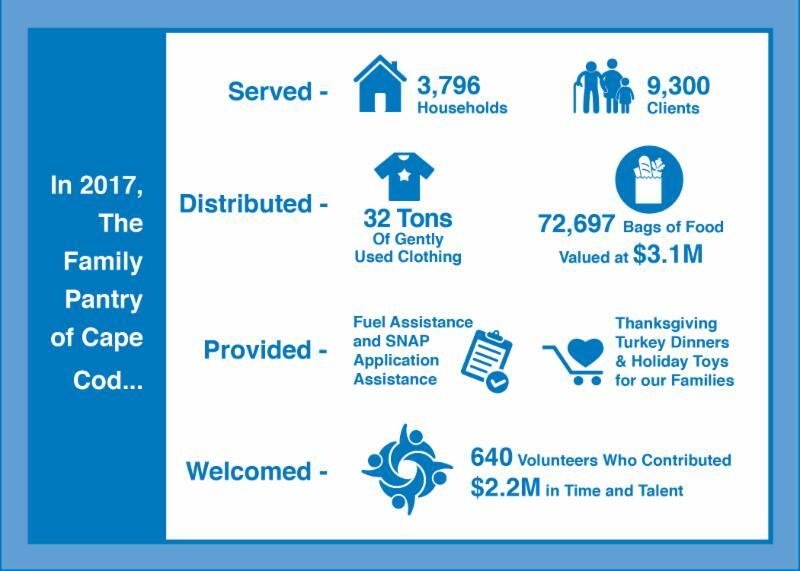 Happy Thanksgiving and we hope you have a peaceful holiday season. *Text "HUNGER" to 80100 to donate $25 to support the Family Pantry food program. Your donation will provide 100 meals for those in need. *Text "PANTRY" to 80100 to donate $10 to support the Family Pantry food program. Your donation will provide 40 meals for those in need. *Your donation will appear on your wireless phone bill. The wireless provider will submit your donation directly to the The Family Pantry. 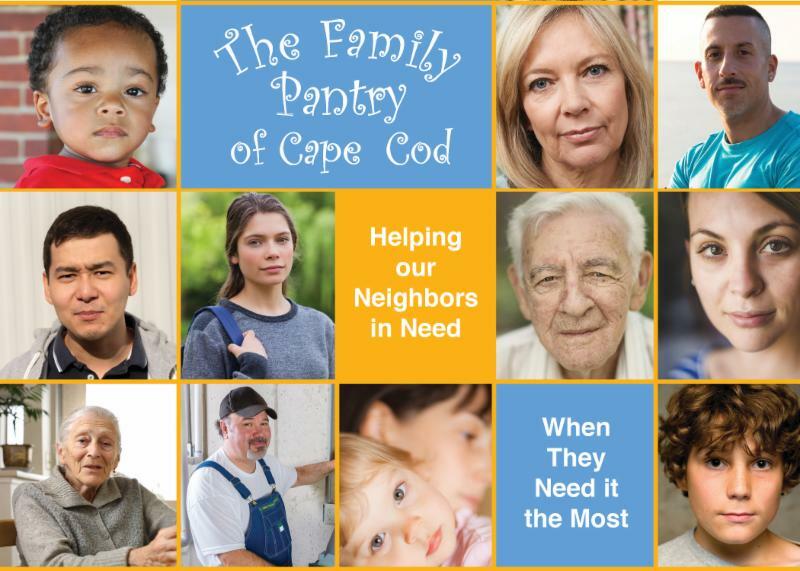 Visit our website to easily send your holiday donation to the Family Pantry. Every dollar donated will provide 4 meals to those in need.